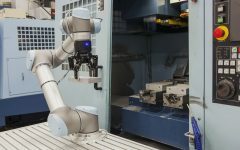 A combination of a robotic arm, a turntable, and advanced software helps Arevo create stronger parts for manufacturing. And it’s showing a 3D-printed bike to prove the technology. 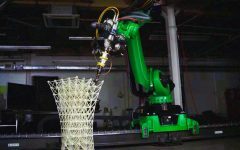 Arevo Inc., a 3D printing startup that combines robotics, software, and specialized composite materials, today announced a new CEO and $12.5 million in Series B funding. Jim Miller, named as the new CEO of the Santa Clara, Calif.-based company, worked previously at Amazon and Google. He will help move Arevo from the laboratory phase to full-scale commercialization, said founder Hemant Bheda, who remains the chairman of Arevo's board.